In keeping with its aim of helping to improve the performance of tech companies, the partnership will involve Boost Technology Group introducing Client Share to its customers in order to help them build better and more robust relationships with their customers. 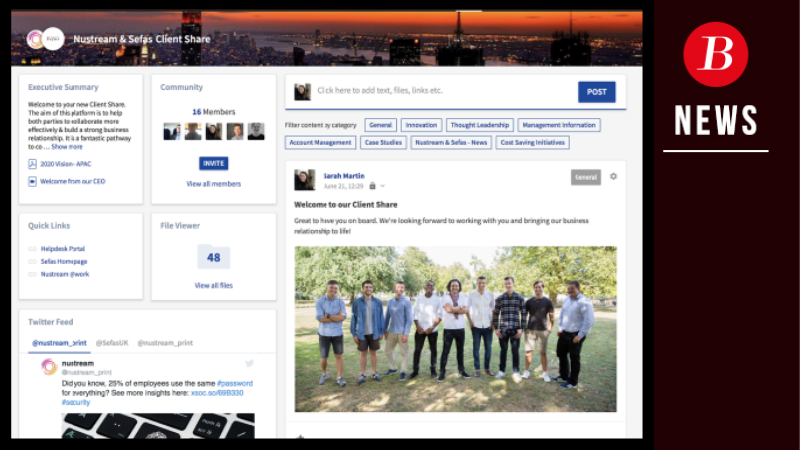 Client Share serves to improve B2B business relationships and takes the best bits of Dropbox, Facebook, YouTube, Yammer, TripAdvisor, WeTransfer and LinkedIn, and brings them altogether into a private VAR-Customer community - enabling better relationship management experiences. This one-platform approach is perfectly placed to improve the relationship between VARs and their customers across the globe. VARs who are interested in finding out more about Client Share should contact Boost today.